IONO Music label dj SALTAUX starts on 30th August 2014 Saturday 8pm CET on the Trance channel. SALTAUX, a BMSS records label dj and live act from Munich, Germany clearly qualifi es as a progressive Trance and Full-on dj. After leaving the Munich Techno and Minimal Techno-scene in 2008 he re-focussed his attention on Psytrance and the more psychedelic sound. This from the heart re-direction led to an extension of his spectrum and constituted a new passion - SALTAUX was born then. After initial passion for Dark and Twilight Sounds, he soon found his true calling in Progressive Psytrance. Today he is not only DJing but has also initiated his own live project and his PUNCADELIC Chill Out project. Is currently busy with the first album – to be published this year. Apart from his projects, SALTAUX makes use of his recording studio in Munich for various other projects and indulges his love for old analog synthesizers. 2008 he joined the Munich based label Spontaneous Aerobics Records. 2009 he became part of the BMSS family, where he is working right now. 2010 Out of the former tribe BMSS, SALTAUX founded the label BMSS-Records and released his fi rst CDs named “a concept in psy I & II”. CHECK HIS MUSIC AT. SoundCloud: https://soundcloud.com/saltaux Facebook: https://www.facebook.com/djsaltaux HIS POINTS OF REFERENCE: He played for HADRA, IONO, Antaris, S.U.N. Festival, Transylvania Calling, SchmoXFamily and many many more. 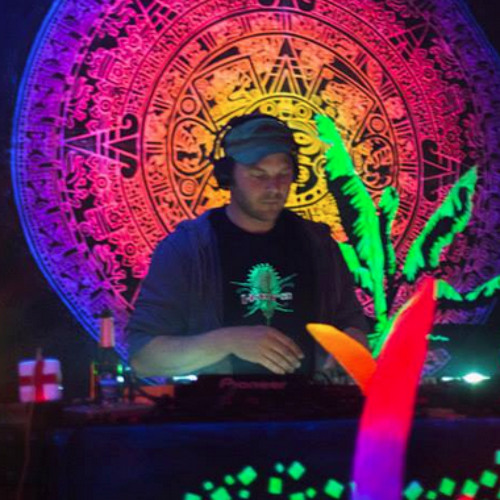 He is the organizer some of the biggest Psytrance parties in South Germany.